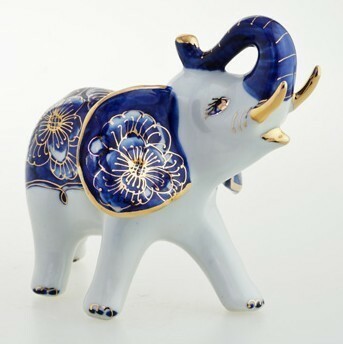 Add a vibrant touch to your home with a jubilant young elephant. 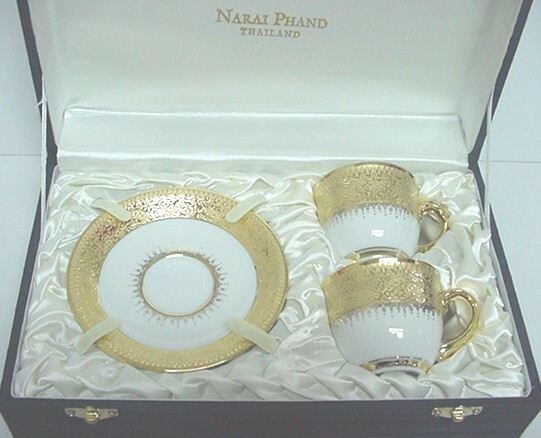 National animal of Thailand. 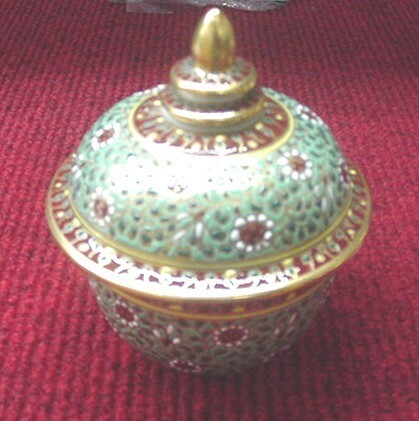 Signifies prosperity and strength. 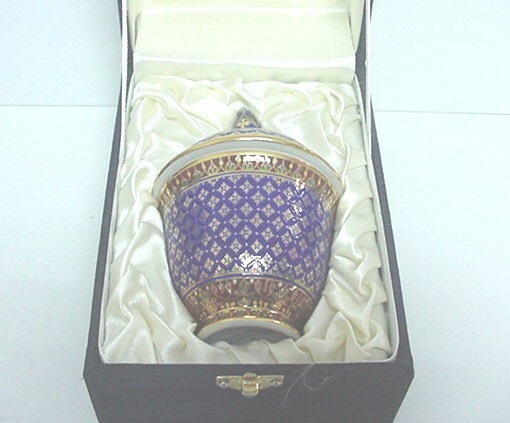 Decorative shiny 12k gold of floral drawing providing value contrast against royal blue painted. 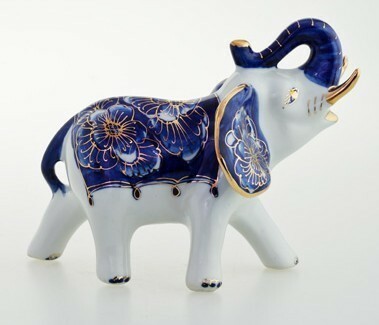 Unique handmade ceramic statue featuring collection of traditional Thai art and craft. Can be clean with soft cloth. To protect the finish, avoid the use of harsh chemicals and abrasives. Size.